Director of the Hoover Library & Archives, Eric Wakin (right), and Zheng Xiaowei (left), who revisits the 1911 Chinese Revolution and its historical significance. Michael Auslin (Hoover Institution) kicked off this year’s event by illuminating the progression of America’s relations with China throughout the nineteenth century as America became a Pacific power and colonizer. While much American activity was focused on islands like Hawaii and the Philippine archipelago, China loomed large in American attention. Yet until 1898, the United States had no designs to become an imperial power and indeed sought to mitigate Western predation in China through the Open Door policy. Auslin depicted in his talk a US struggle of restraint and aggression leading to a unique and unstable relationship with China, Japan, and European powers. Zheng Xiaowei (UC Santa Barbara) drew connections between the 1911 Chinese Revolution and the constant debate about the idea of “popular sovereignty.” She recounted the sweeping transformation that happened in 1911, including the mutiny of the New Army in Hubei Province, the independence of fourteen provinces in China proper from the Qing court, and the defiance of Han Chinese political elites against the ruling Manchus. The 1911 turmoil thus produced the emergence of new political rhetoric and unprecedented social mobilization. The emphasis on equality and popular sovereignty further deepened the Revolution’s hold in Chinese society, leading to the ultimate success of mass movement in China. In many ways, Zheng argued, the 1911 Revolution inaugurated China’s modern era; it was through this Revolution that modern Chinese politics has come into being. Yu Wu (Hoover Institution) introduced his current research project on the history of the Battle of Wuhan in 1938. The battle between Nationalist China and Japan in Wuhan, Hubei Province, left many unresolved issues for historians to further explore. After the battle, for example, the Japanese ceased to expand further westward in terms of military activities. Chiang Kai-shek’s government safely retreated into Southwest China and survived the remaining war years with the assistance received from the Soviet Union and the United States. The Chinese Communists under Mao Zedong collaborated with his Nationalist Chinese enemy, leading to their ultimate success in the postwar years. Wu argued that the 1938 Battle of Wuhan can be further investigated and interpreted as a result of the accessibility of more historical materials. Denise Ho (left) and Michael Auslin (right) in the workshop. Andrew Morris (Cal Polytech) demonstrated how stories of Communist Chinese pilots and sailors defecting to Taiwan in the 1960s were carefully tailored and released for propaganda and political purposes. Using a wide variety of archival and published source materials, Morris revealed the devastating impact of Chiang Kai-shek’s propaganda on those Communist defectors who had experienced the trauma of exile and separation from their own families on the Chinese mainland. The propaganda and psychological warfare across the Taiwan Strait at the height of the Cold War also reflects much about Chiang Kai-shek’s incessant dream of launching a counterattack and reunifying the mainland. Denise Ho (Yale University) closed this year’s China workshop with a presentation that addressed the question of “what to do with Chinese tradition” at the end of revolutions of twentieth-century Chinese history. She sought to answer this question by exploring the fate of China’s wenwu (cultural relics) and the creation of “socialist museums.” Taking an example of the famous Shanghai Museum, from its establishment in 1952 through its experience during the Cultural Revolution (1966–76) and to its restoration in the post-Mao era of reform, Ho demonstrated how antiquity was incorporated into revolution. Cultural nationalism, as she argued, was and remains central to political legitimacy in present-day People’s Republic of China. 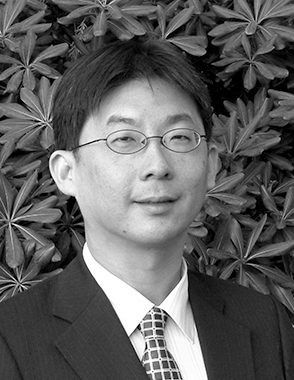 Hsiao-ting Lin is a research fellow and curator of the Modern China collection at the Hoover Institution, for which he collects material on China and Taiwan, as well as China-related materials in other East Asian countries.